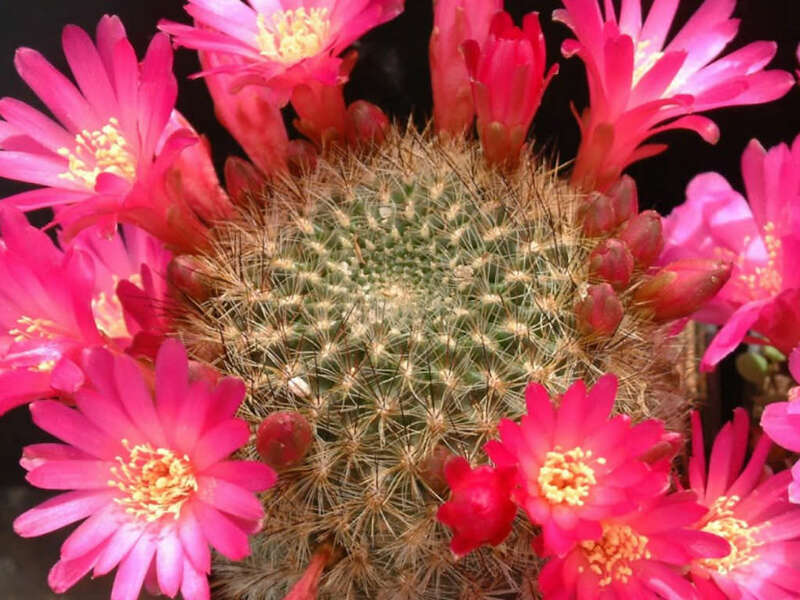 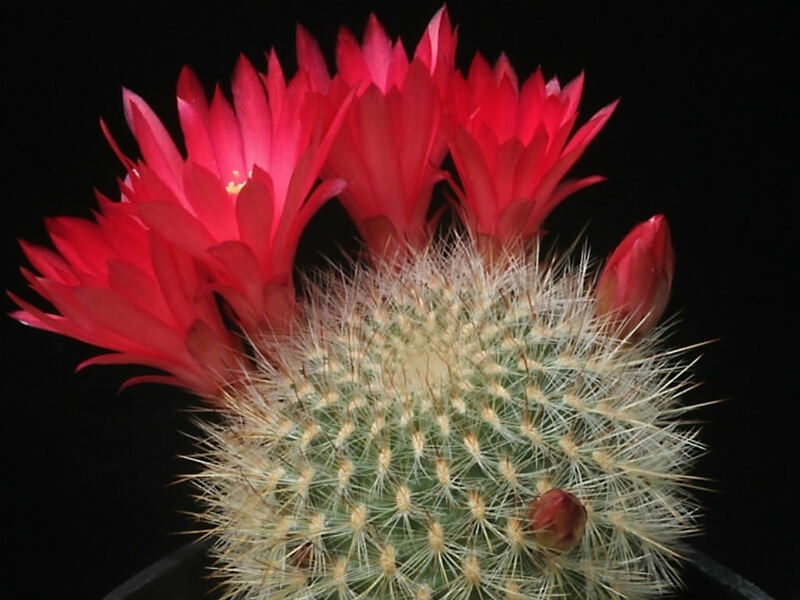 Rebutia steinbachii subsp. 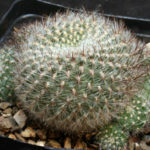 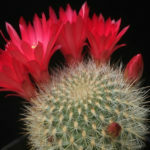 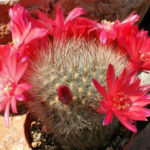 tiraquensis is a clustering cactus (rarely solitary), readily forming (especially in cultivation) clumps of many heads. 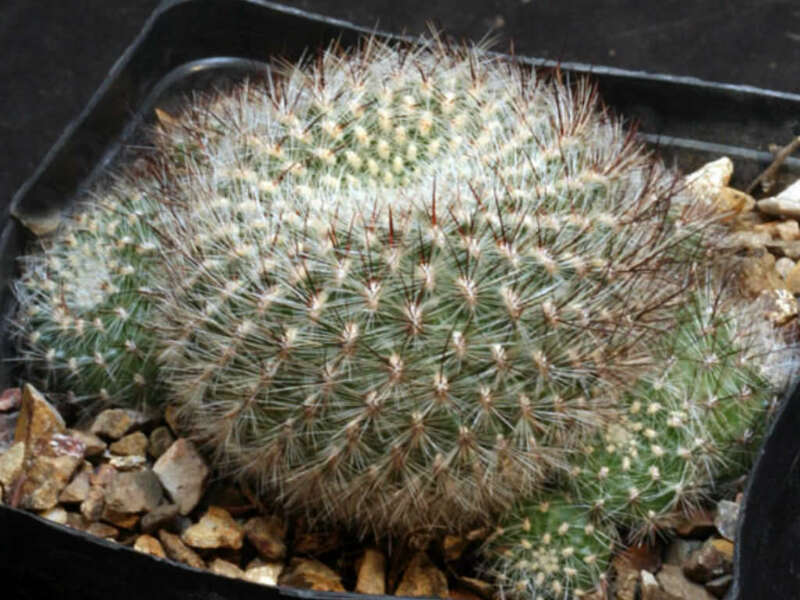 The stems are greysh-green to dark green sometime very dark magenta-green and almost completely concealed by fine variously colored spines. The flowers are bright pink to light purple, numerous in a ring at the base of the plant, up to 1.4 inches (3.5 cm) long and up to 1.8 inches (4.5 cm) in diameter. 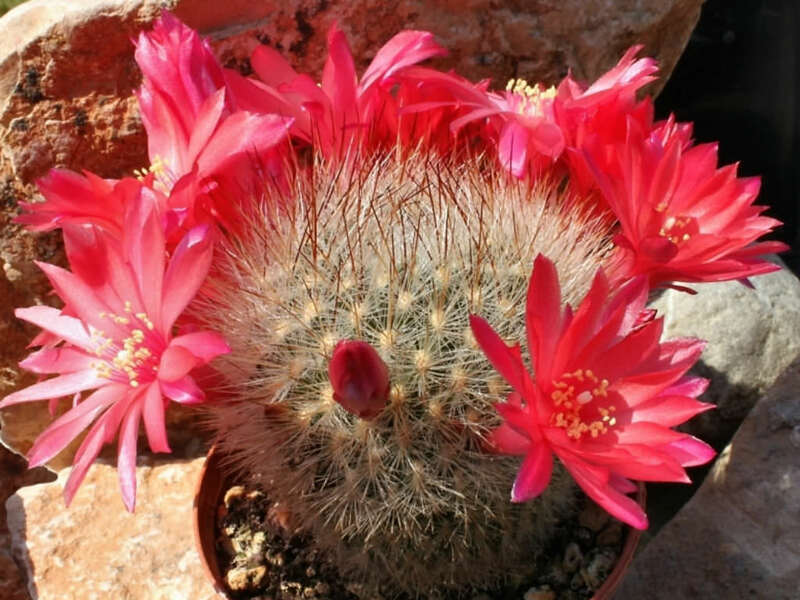 It blooms from April to May and flowers remain open for up to five days.